The holidays are coming up, and for a lot of us, that means shopping. Whether you’re looking for unique trinkets or something specific, Glenwood Springs has something for everyone. Glenwood Springs’ downtown area is a great place to spend the day, featuring outdoor dining and buildings that date back to the early days of the town. If you’re in need of some retail therapy, the prime shopping district is between Grand and Cooper Avenues and 7th and 11th streets. There, you’ll find a myriad of independently owned boutiques, many of them located in some of the town’s most historic structures. There are two book stores, thritf and second-hand stores, vendors of fine and costume jewelry, art galleries featuring local artists with a wide variety of styles, and sweet shops that sell homemade fudge and your favorite treats. There are also clothing stores with their own styles, a shoe store that specializes in comfort shoes, outdoor gear, and plenty of places to stop for lunch or a hot coffee along the way. Take a stroll and see what you find! Looking for a more traditional shopping experience while you’re on vacation? Or maybe you need something specific that you just can’t find in the boutique shops on Grand Avenue? The Glenwood Springs Mall has you covered. Anchored by Ross: Dress for Less, the Glenwood Springs Mall also several shoe stores, jewelry shops, a nail salon, and several stores geared toward teens like rue21 and Rainbow. Nearby, Tractor Supply Co. offers outdoor gear and clothing, and the Boot Barn boasts an enormous selection of cowboy boots, hats, and western apparel so shoppers of all ages can show off their cowboy side. The “Meadows,” as locals have taken to calling it, is the newest addition to Glenwood Springs’ shopping scene, and the perfect place to find everyday necessities. Anchored by Target and Lowe’s, this destination is the perfect place to check off those last few items on your list. In addition to the big stores, the Meadows also includes plenty of familiar names, including Pet Smart, Bed Bath & Beyond, Natural Grocers, Maurices, Game Stop, Red Mountain Wine and Spirits, and more. Much like downtown, many of the smaller shops on Market Street are locally owned, offering boutique shopping and dining in addition to the national chains. 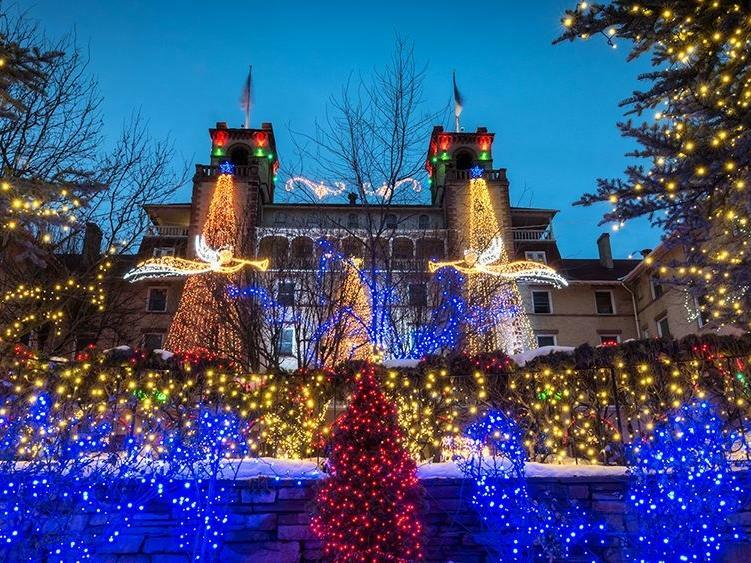 Whether you’re looking for a unique flavor of the Roaring Fork Valley, a souvenir to remember your trip, or that last hot-button item to finish up your holiday shopping list, Glenwood Springs’ offerings are sure to have everything you need. Stop on by!